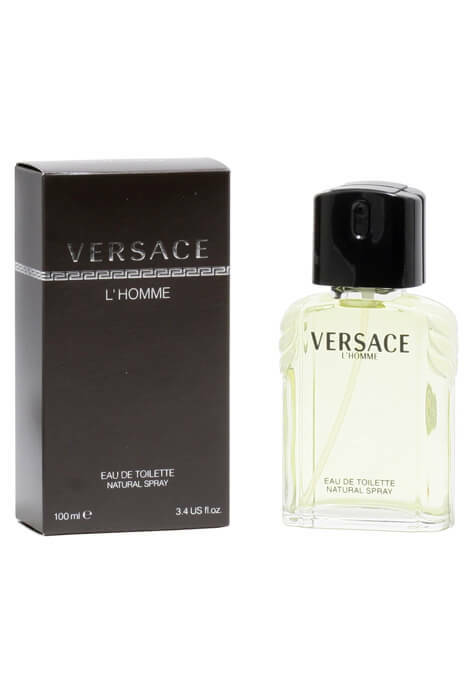 Versace L'Homme for men is a sharp, woody and warm perfume fragrance that is a Versace classic. This infamous scent is still up there on the list of fragrances to measure up to, and holding it's own. A time honored classic! This men's fragrance features top notes of Green Notes, Basil, Petit Grain, Pimento, Bergamot and Lemon, middle notes of Carnation, Cinnamon, Sandalwood, Patchouli, Jasmine, Cedar and Rose, and base notes of Labdanum, Leather, Tonka, Amber, Musk, Oakmoss and Vanilla. 3.4 fl. oz. An EDT spray.